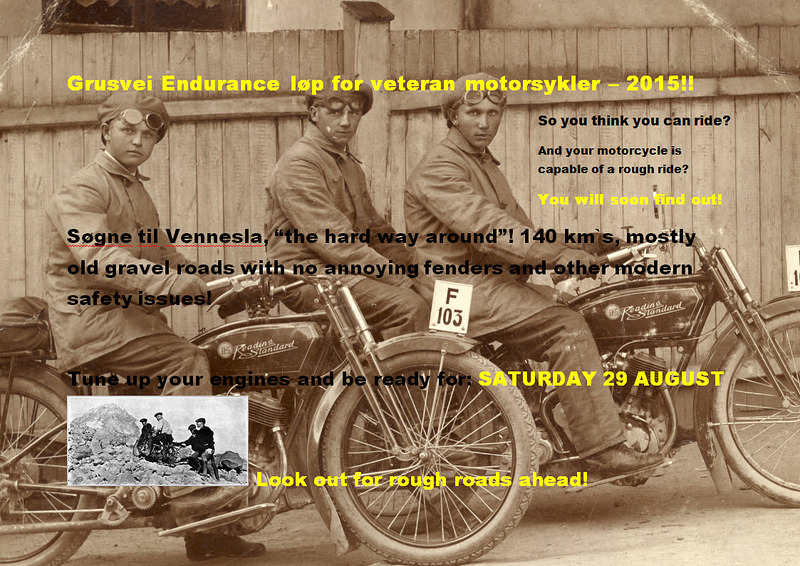 Gravel road endurance run poster! 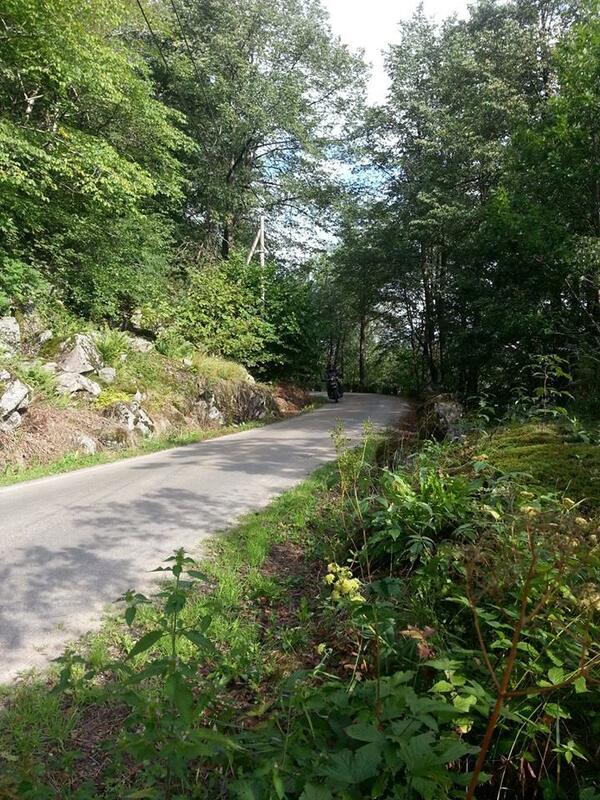 We are starting from Villy`s place just outside of Søgne. 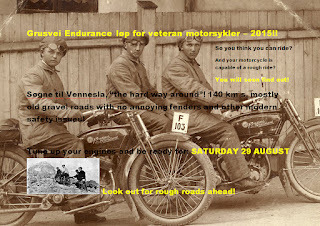 Luckily there are country roads avaliable from all sides of town to get there, its no good these days to ride a 80 years old motorbike on the highway. 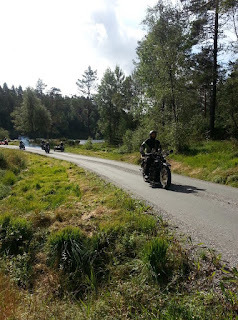 Cay on his Chief bobber and Odd on the support Guzzi behind. 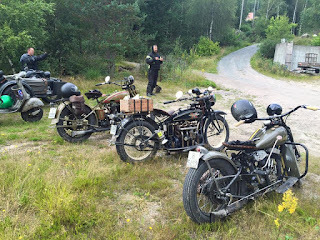 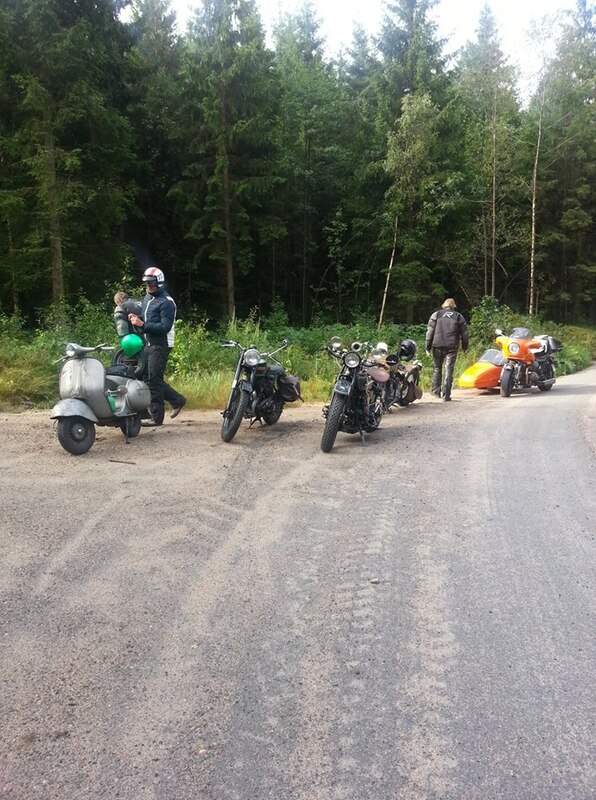 Svein`s Vespa, Erik`s BSA, my De-luxe and Cay`s Indian. 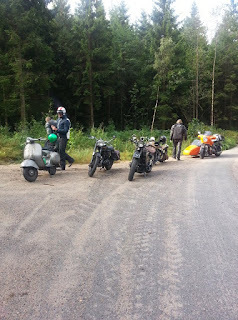 Villy didnt care for a stop, the Zundapp KS 750 is a good choose for gravel roads. 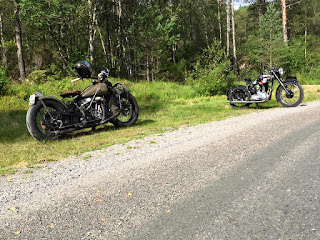 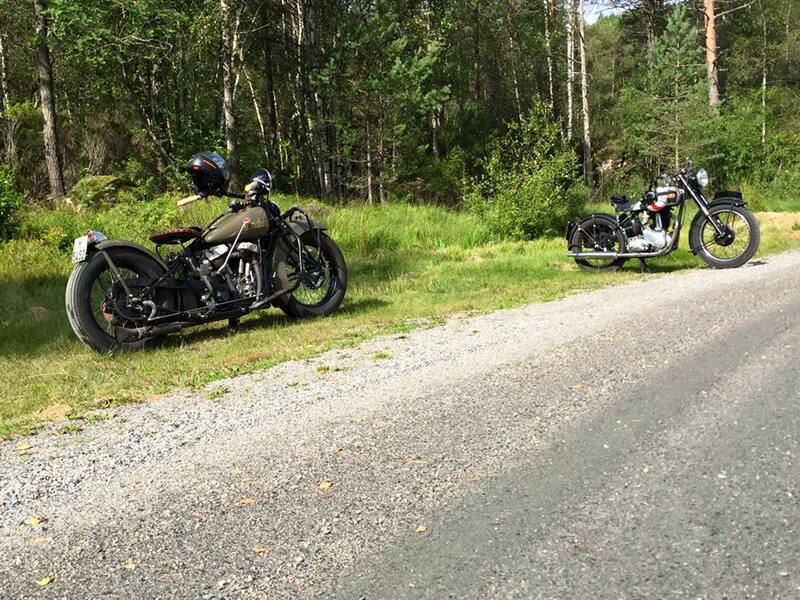 Rune and 1927 J model Harley. Second stop for food & refuel (coffee and tea), Rune looks pleased with the run so far. We did it, lined up outside my workshop. 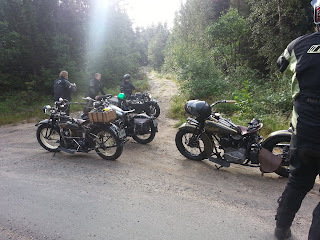 Cay`s back. 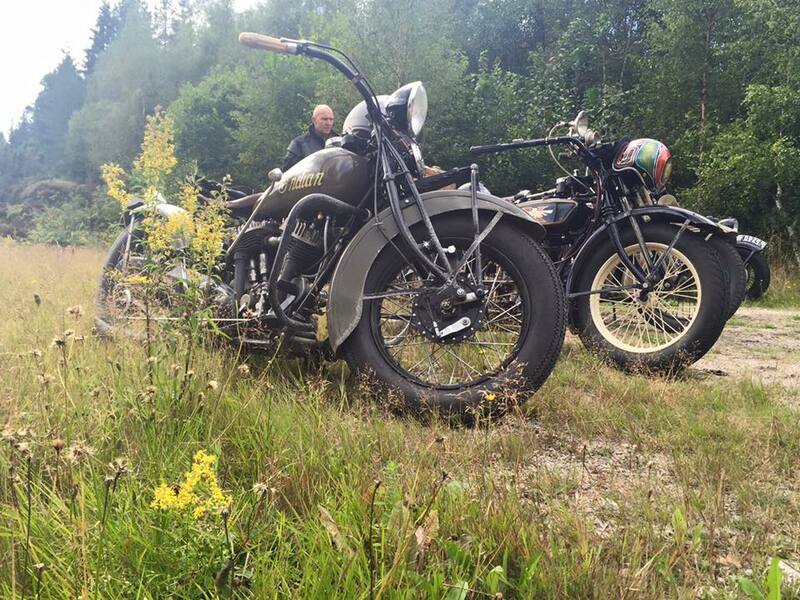 Is this why it is so cool with a chopped rear fender? 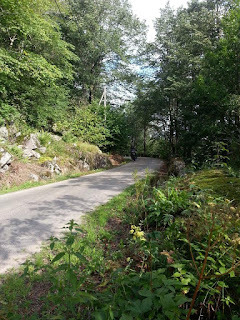 Along the river towards Fuskeland.